If simple Canadians can’t convince the Brits things need to change, who’s going to bring them around to our way of thinking? 1837: The Farmer’s Revolt runs until October 8, 2017. It’s not uncommon for a theatre company to have a show that doesn’t quite fit in with the rest of its season’s programming. 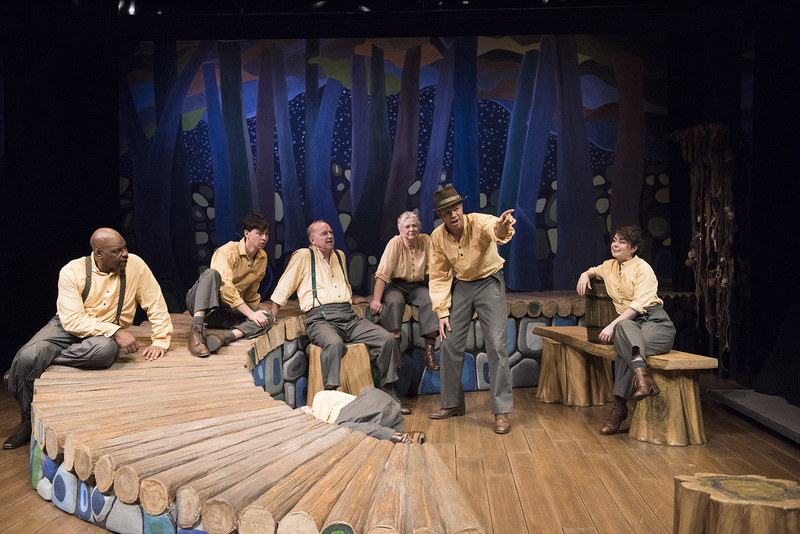 1837: The Farmers’ Revolt seems to be the displaced offering in the Shaw Festival 2017 line-up. There’s no mistaking that the factual event from Ontario’s mid-19th century in tandem with Canada 150 celebrations across the country would make this a desirable selection. And in the skillful hands of director Philip Akin who attempts to weave new themes into the 35-year old play to underscore the rural roots of rebellion. He’s got the right players aboard to plough the storyline, he’s got the dramatic momentum to harvest a rewarding experience and the premise path only gets more bountiful with designer Rachel Forbes’ earthy, indigenous inspired set to give depth to the visual perception of the piece. Regrettably, the narrative doesn’t resonate on any significant level beyond these seeded elements. You have to appreciate the risks this particular production takes. It comes across as notably sketchy—even a bit improvy—which is new territory for the Courthouse Theatre. Playwright Rick Salutin’s well researched historical work would have packed more meaning in the early 70s when story’s about our nation’s past were more appealing due to the lack of narratives to go around. Yet three decades later, the bar has been set much higher and a conflict based on a ‘family of villainy’ that created an Upper Canada land monopoly preventing property seekers from becoming estate owners falls short of expectations.